You can do something interesting that he or she would remember for the rest of his life. 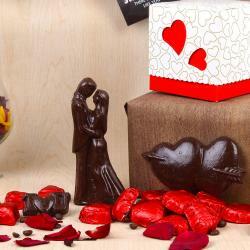 Send fantastic surprise to your love partner on this Valentine Day with this appealing Chocolate Love Gift Hamper from Giftacrossindia. This hamper made with our all natural homemade chocolate. 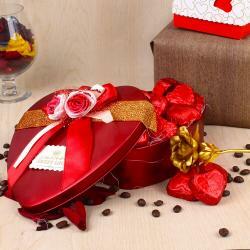 These are beautiful edible roses that say I love you for Valentine Day in the sweetest way. 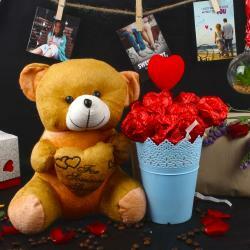 Gift your love partners a chocolate rose bouquet team up mini soft heart with love Tag on it. 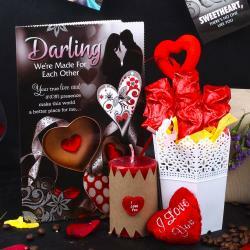 This is one of the best Valentine Day hamper which feel romance in the air when it gifted. So go ahead book your order now. 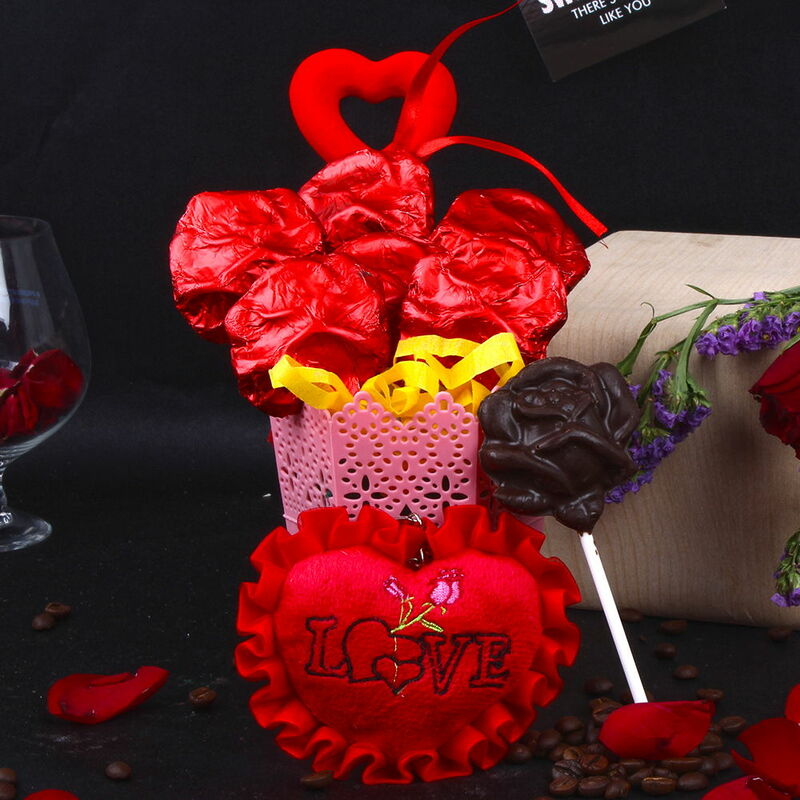 Product Includes: Home Made Chocolate Roses in Basket (Weight: 150 Gms) with Mini Love Heart and one Heart Shape Decorative Stick.